Xilisoft OGG MP3 Converter proves professional to convert OGG to MP3 as OGG to MP3 converter and to convert MP3 to OGG as MP3 to OGG converter. It also supports converting between popular audio formats such as WMA and WAV. In addition, extracting audio from your beloved video is also available. 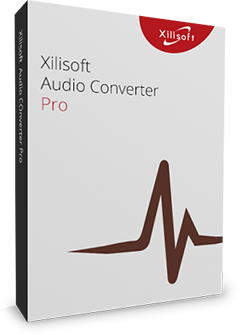 Xilisoft OGG MP3 Converter is professional audio encoder, containing plenty of detailed parameters that gives you prominent audio quality, and freely editing the ID3 tag information that makes your music management much easier. Have a try of Xilisoft OGG MP3 Converter now, and experience the easy OGG MP3 conversion journey. Convert OGG to MP3 and convert MP3 to OGG with outstanding audio quality at fast speed. If you love the background music of videos, the OGG to MP3 converter and MP3 to OGG converter software can do you a favor. It allows you to get the audio by extracting audio from video. The OGG MP3 converter offers you expert audio encoders such as OGG Vorbis DLL Encoder, Lame MP3 Encoder. Moreover, you can set the audio parameters if you want. Want to manage your music easily? Xilisoft OGG MP3 Converter can reserve the ID3 tag and edit it. The ID3 tag information makes your music management easy. Batch processing and multithreading will greatly enhance the efficiency of your computer. Xilisoft OGG MP3 Converter provides these languages interfaces: English, German, Japanese and Chinese.